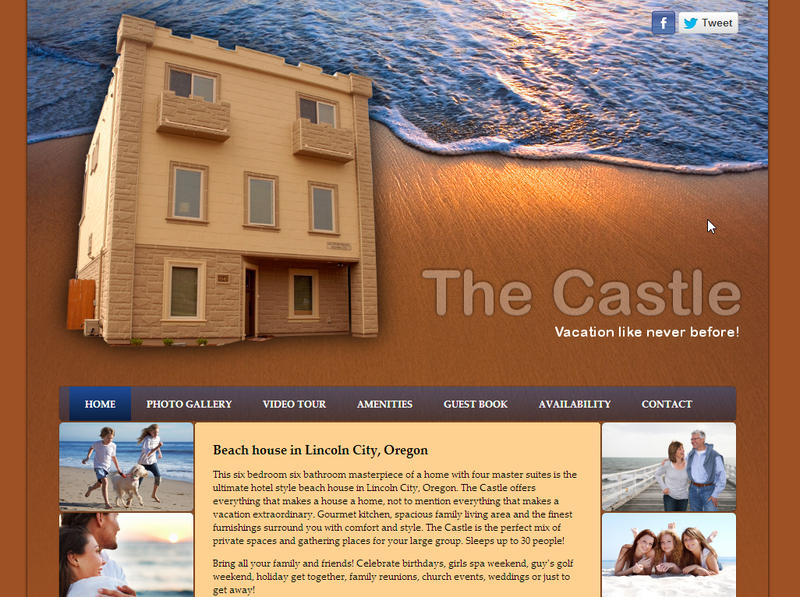 We built the site for The Castle vacation rental home in Lincoln City, Oregon. The site features custom graphic design and PHP programming, including HTML parsing to enable showing current availability and latest reviews. We are currently providing hosting and maintenance.